At GwaKu (pronounced jiwa ku), you'll see a good crowd of people working in Q Sentral tucking into the eatery's daily lunch specials that change daily. Expect dishes such as roast leg of chicken with potatoes, carrots and peas; ayam masak merah, begedil, acar nanas-timun and rice; and more. 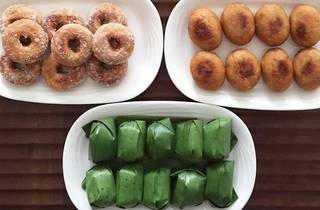 Tea time kuih like bingka ubi, lepat pisang, pulut panggang, talam seri muka and others are also available. What is Italian, Mediterranean and Asian all over? GwaKu! Here the food are eclectic and the menu keeps on changing which is great for those office crowds. The food was perfect, modest portions, speedy service which always makes for a better lunch outing and meals reasonably price. Ample sitting area and tastefully decorated too. Definitely will come back for more soon. Keep it up!! YUMMY! I'll start with that! We are so happy that we picked Gwaku to cater our Office Opening. Several guests said they went through the buffet line 2 or 3 times because they couldn't get enough! Some guests STILL talking about the amazing quality of food even until today. Highly recommend them - you literally have NOTHING to worry about in regards to food if they are your vendor. Found this hidden gem while I visited a friend who works at Q Sentral. 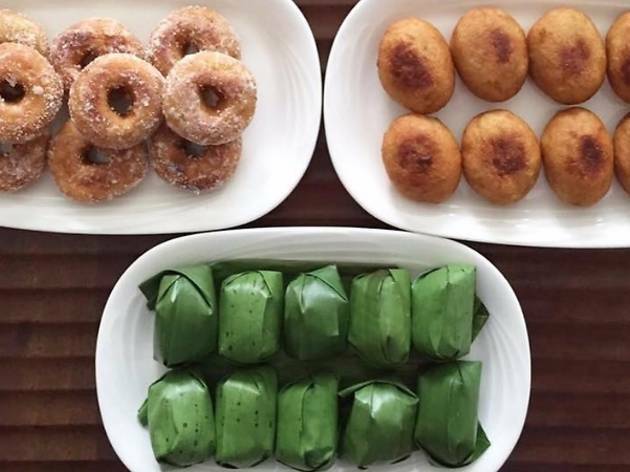 Surprise to see GwaKu selling traditional kuehs, as many restaurants are focused on cakes and modern desserts. Love the kuehs at GwaKu. Fresh and reasonable priced. I was lucky that they were serving pineapple curry as one of their main dishes for lunch. My favorite. The flavour is exquisite, and pineapples weren't too sweet or sour; just right for a curry dish. Looking forward to visit this lunch joint again soon.